Gray in gray and cloudy, we often have this picture from November. But in Vienna things are very different. From mid-November on, Vienna will be bathed in a colorful atmosphere by the colorful lights of the Christmas markets. And there are a lot of great exhibitions waiting for you too in the museums. But today more about the Christmas markets and other events, because you can find them all over Vienna and every host has certainly a very personal insider tip for you. Many of the Christmas markets are very well known and very busy. 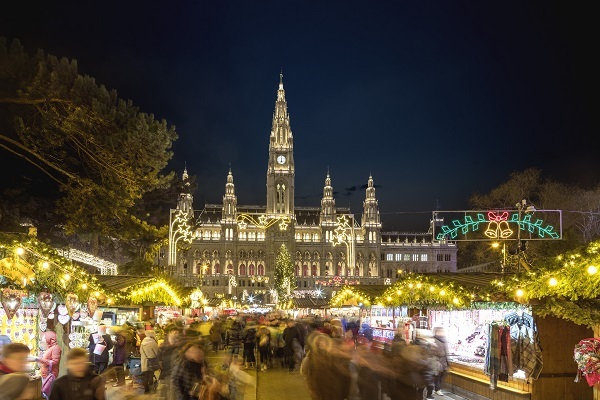 Certainly best known is the Vienna Christmas World on Rathausplatz with its approximately 150 sales booths where Christmas presents, Christmas tree decorations, handicrafts, culinary delights, sweets and warming drinks are offered. In addition, an over 3,000 m² ice rink awaits you. For children there is the children's world with carousel, reindeer train and beautiful light installations in the park. 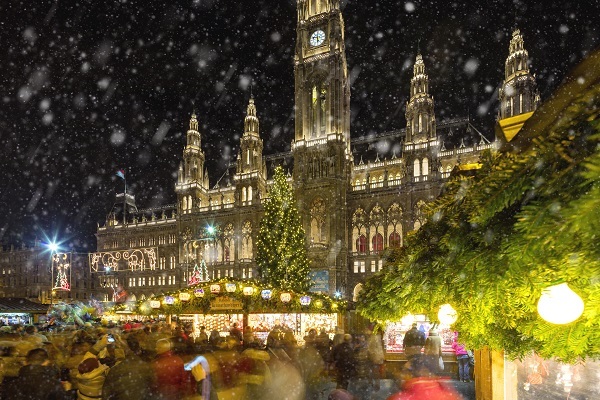 Only a few minutes walk away you will find the Christmas village on the Maria-Theresien-Platz, between the Kunsthistorisches and the Naturhistorisches Museum with around 70 booths and the romantic Christmas village on the campus of the University of Vienna. Further in the city center are the Altwiener Christkindlmarkt on the Freyung where already 1772 a Christkindlmarkt took place and the Christmas Markt Am Hof. Against the picturesque backdrop of Schönbrunn Palace there is the Christmas market. Let yourself be enchanted by the imperial flair. The atmospheric market offers traditional crafts, handmade Christmas decorations, Christmas concerts and a comprehensive children's program including a Christmas workshop. Also in front of an impressive backdrop you will find the Christmas village at the Belvedere Palace and right in front of the Karlskirche the Art Advent on Karlsplatz. Very idyllic is the atmosphere at the Christmas market on Spittelberg where you can stroll in the small streets and admire the many booths. But these are just the bigger markets. Because it is above all the small markets that you find in the whole city that give Vienna a very special atmosphere in the coming weeks. Even for children there is a great program in Vienna to shorten the time until Christmas Eve. 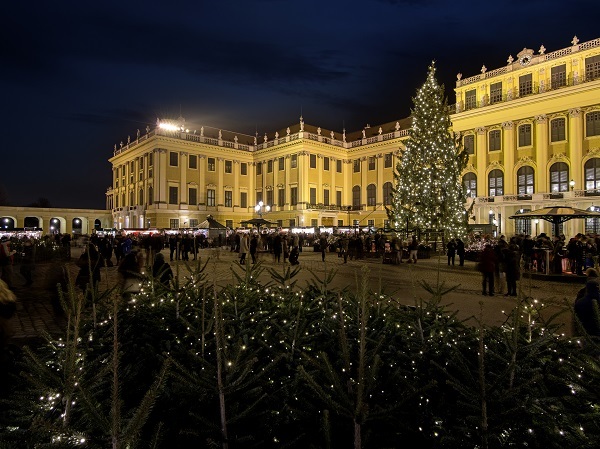 The Green Christmas markets, such as the one in front of Schloss Wilhelminenberg, the Hirschstetten flower gardens, the Türkenschanzpark or the Schönbrunn Zoo are also something special. 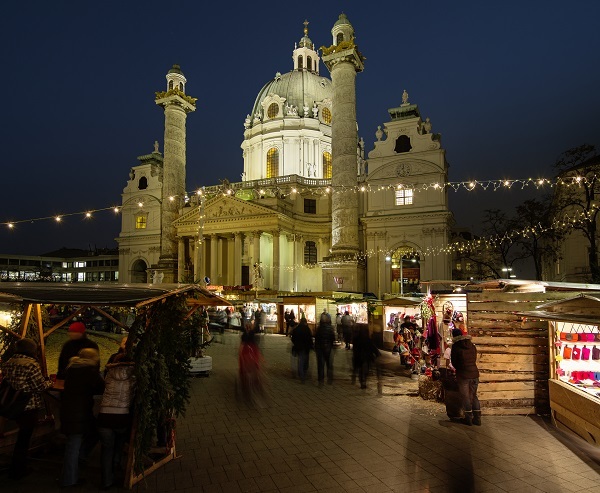 You can find more about these special markets on the website of the Vienna Tourist Board. In addition to the Christmas markets, Vienna more than lives up to its reputation as a city of music in the run up to Christmas. There are countless, high-profile events waiting for you, which provide a unique atmosphere. You will find a practical overview again on the page of the Vienna Tourist Board. So who says gray in gray, November and December have a lot to offer in Vienna.